Luis Vargas is a founder of SmartTriatlonTraining. Luis has a broad background in the world of athletics that started early in his life. He was born in Ibague Colombia, but moved to San Juan Puerto Rico when he was 12 years old where he ran cross country, swam, and participated in varsity soccer and volleyball during high school. In 1978 he went to the University of Miami were he combined one year of varsity swimming with three years of varsity soccer. In 1983 he earned a Bachelor of Science in Electrical Engineering and in 1985 a Masters of Science from Arizona State University. Like many people in the 80’s Luis had watched coverage of the Ironman on television and after finishing his schooling decided to give some shorter races a try. He eventually qualified for the National Championships of the USTS series, and then progressed to half Ironman distance races, and eventually to the full Ironman distance. 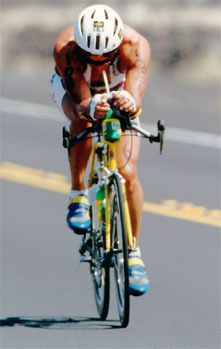 Luis qualified for the Ironman World Championships in Kona five times and posted a personal best in 1993 with a total time of 9:34. In 1996 Luis changed his focus from training himself to training others. "When I was young my coaches were some of the most influential people in my life. So I decided to get into coaching myself". Luis first coached boys soccer for five years with outstanding results. One of his teams went from a losing season to an undefeated and championship winning season in two years. By 2001 he was ready to come full circle and begin coaching in the sport of triathlons. That year he received his USAT coaching certification and co-founded an online triathlon coaching company that operated MarkAllenOnline.com. Today he is the full owner of the online coaching company which now operates as SmartTriathlonCoaching.com guiding athletes from around the world, helping them reach their potential and dreams. Luis currently lives in Austin, Texas with his wife Kelly, son Camilo and daughter Sofia all avid triathletes and swimmers.